Our Sincere Thanks Goes Out To All Our Supporters! 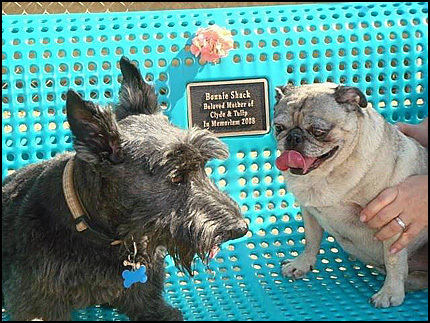 Clyde and Tulip on the bench honoring the memory of their loving mother, Bonnie Shack. This bench was donated in Bonnie's memory by friends, many of whom she met at The Boneyard.